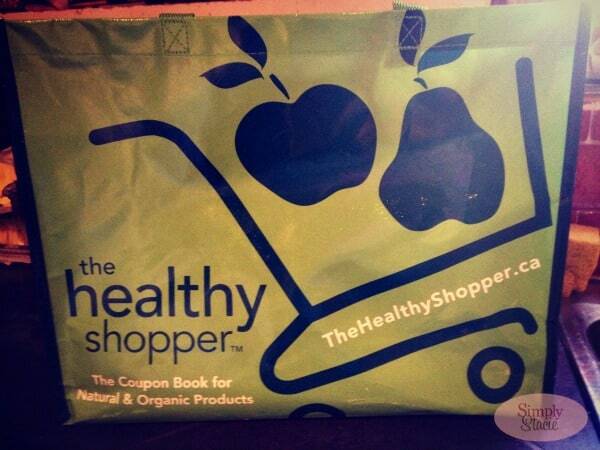 The Healthy Shopper Spring 2013 picks are here! Every Spring and Fall, The Healthy Shopper releases their selections for the top natural and organic products in Canada. Their money saving coupon book allows shoppers to have healthy alternatives without breaking the bank. It is more expensive to purchase natural and organic products, and the founders of the Healthy Shopper want Canadians to have the opportunity to try out these new products at a more affordable price. The 2013/2014 coupon book will be coming soon! In the meantime, I wanted to give you a sneak peek of some of the products that are featured in the book. 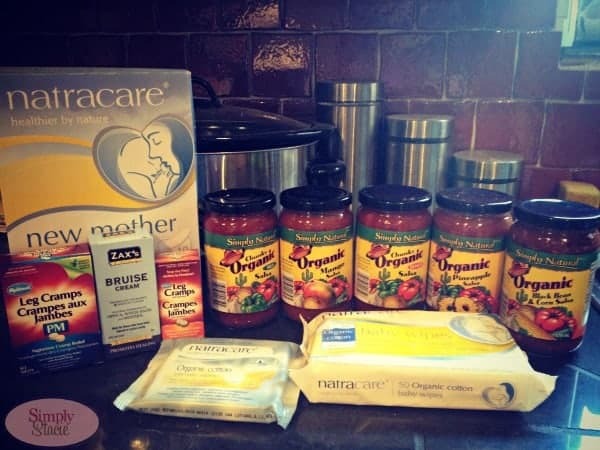 I’m no stranger to Natracare products and they have been featured as The Healthy Shopper picks in the past. I’ve been using their pads for 7 years now and they are the only ones that I can wear comfortably. They are soft and safe for sensitive skin like mine. Included in the Spring 2013 picks are three Natracare products: Natracare’s 100% Organic Cotton Baby Wipes, Intimate Wipes and New Mother Natural Maternity Pads. Natracare’s wipes are free of parabens, SLS (sodium lauryl sulphate) and synthetic preservatives. I’m passing the Maternity Pads onto a relative of mine who is expecting, but was able to use both the baby wipes and the intimate wipes. Since we don’t have a baby anymore, I’ve using the baby wipes to remove my eye makeup. John likes them to wipe off his hands after working on the house renovations. They are really handy to have around. They work wonders on those sticky hands that my daughter seems to always have! John always teases me about how clumsy I am. I’m always tripping or banging into things. Often times, I’ll have a bruise and he’ll ask me what happened and I will have no clue! You would think I would remember hurting myself…anyways! Zax’s Original Bruise Cream is also a Healthy Shopper pick for the spring. I’d never heard of a bruise cream before, but knew it was something I could probably use being the klutz that I am. Zax’s Original Bruise Cream is made of all natural ingredients including Arnica, Witch Hazel and Menthol. It helps to promote healing and provides relief by soothing and cooling the bruised area. It’s paraben and propylene glycol free. I tried it on a bruise on my arm and found it very soothing. When I get a bruise, I’ll know what to apply on it to relieve some of the discomfort. If my Grandma June was still alive, I would have given her Hyland’s Homeopathic Leg Cramps tablets to try. As she got older, she used to get terrible pains in her legs that would keep her up at night. I remember she used to sleep on the couch in the living room so she could up throughout the night to stretch her legs and not disturb anyone. She said it was just another sign she was getting older and I always hated to see her suffer. Hyland’s Leg Cramps tablets are a homeopathic remedy that helps to stimulate the body to heal naturally and relieve the pain. There’s also PM formula to use at night time. Grandma only really got them at night so that’s the one she would have used. Currently Hyland’s is the only non-prescription OTC solution available for people with Restless Legs. I can’t get enough of the salsa! I love it on nachos, chicken breasts and sometimes, I’ll even cut up some cheese and dip it in salsa. It adds so much flavour! Simply Natural Organic Salsas are made with only organic ingredients and have a chunky texture. They are Non-GMO and gluten-free. The flavours available are Pineapple, Mango, Black Bean & Corn, Mild & Medium. I love that they are made with fresh organic ingredients, but wish they didn’t include the organic sugar! That’s my only complaint otherwise they are delicious! My personal favourite is the mild salsa over a chicken breast with a little cheese. Yum! I wasn’t surprised to see Olympic Dairy listed as a healthy shopper pick. Their yogurt is amazing. I eat the Olympic Krema Greek Yogurt a few times a week. It has to be one of the creamiest, smoothest yogurts ever. If you haven’t yet tried it, you need to! The yogurt is certified organic and 100% natural. There’s also no synthetic preservatives, gelatins, chemicals or fillers. the flavours include Organic Coconut, Mango, Lemon, Plain and French Vanilla. If you have a food sensitivity, Earth Balance Organic Coconut Spread is something you can try as an a butter alternative. It’s free of lactose, soy, dairy, casein and gluten. I’ve tried the Organic Whipped Buttery Spread and it’s delicious on toast or heated up on a bran muffin. Visit The Healthy Shopper to learn more about these products as well as healthy living tips & recipes. Sound like some great products! I’d love to try the Zax Bruise Cream! Some interesting products! I am looking into the leg cramp tablets for my husband now. He has horrible ones at times. My family often talks about how hard it is to be healthy on a budget. Many of the organic or natural products – not to mention simply buying produce – can really add up. I’m glad that there is a company thinking about that and offering coupons. Id love to try the NatraCare wipes!! ohhhh, thank you for sharing this…I’ve recently had to give up some food items (wheat and dairy) and I prefer to use natural/organic products when I am able but being on a low fixed income it is really challenging…I can use all the help I can get and I’ll be checking out these coupons for sure. What a great post! I’ve been trying to get my family to cut out some of the junk foods and move on to some healthier eating habits. Look forward to the coupon book!